Congratulations to Emma who won the #100colours limited edition dress that I designed especially for the Dove campaign! 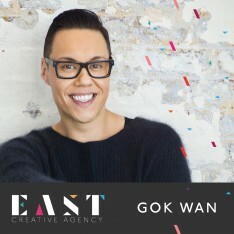 Sumiya Soran has battled Hodgkin lymphoma but has had a dream to work in the fashion industry and this week met Gok Wan for some tips. Where has Summer got to?!! Hope you lovelies are keeping well. I have an exciting new announcement to make…but, you’ll have to wait a few days, so keep your eyes on my homepage where it will be announced very soon! In the mean time, why not join me on Friday 8th July and Rock Your Socks? 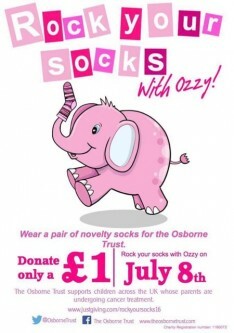 Wear a pair of novelty socks and donate £1 to the fabulous Osborne Trust. They are a small charity doing big things! They provide the children of cancer patients with activities, support and time away when their parents are undergoing treatment or following chemotherapy. Text code: Sock76 £1 to 70070. You can find out more on Twitter @OsborneTrust or Facebook.